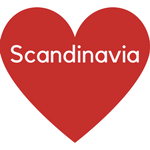 My website address is: https://LoveScandinavia.eu. This website is just a hobby and there is no company behind it. You can find more information about me on the about page. All fields you fill is data that is stored in the email I receive. Your data is not shared with others than mentioned above. The Google Analytics data is retained indefinitely. So I can see the difference from the start. You can always contact me on info[at]lovescandinavia.eu if you have any question or concern. I am updating WordPress (including plugins and themes) frequently to protect your data.